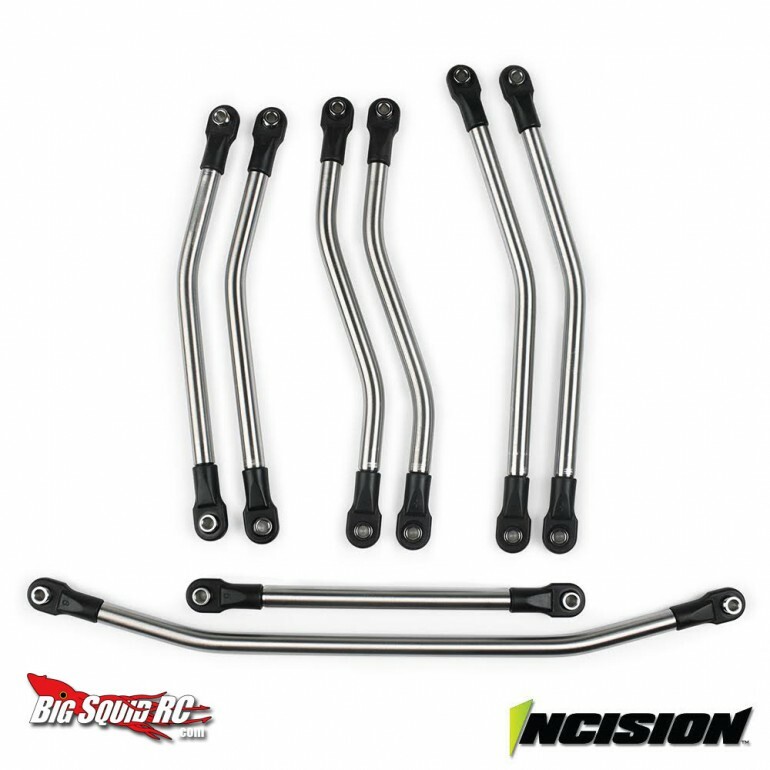 Incision RC – Stainless link kit for your Axial Bomber « Big Squid RC – RC Car and Truck News, Reviews, Videos, and More! It’s an 8 pc set to beef up your Axial RR10 Bomber. Being that these are from the Incision line they are made of 1/4 inch stainless steel and come in at a lower price point than the titanium units Vanquish offers. This set includes steering tie-rod and drag link, front upper and lower links and rear upper links. You’ll still need to pick up the machined Yeti/Bomber lower trailing arms to completely replace all of the links. Want a some for yourself? You can grab a set from right here.